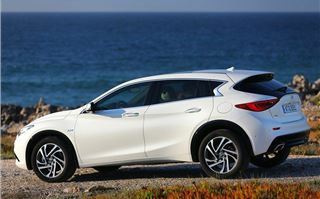 Infiniti - Nissan's premium brand - hasn't enjoyed much success in Britain so far. In 2014 it sold just 746 cars in the UK - that's less than Aston Martin or Maserati. 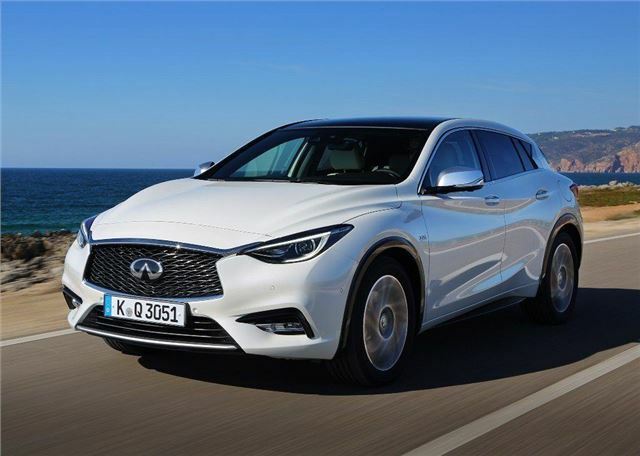 But Infiniti is not giving up and is now launching the Q30 - a hatchback it hopes will change its fortunes and give it the mainstream appeal it so desperately needs. 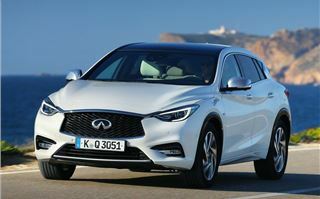 The British-built Q30 is designed as an alternative to the Audi A3 and BMW 1 Series. 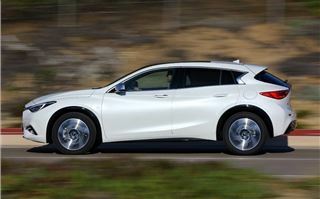 But unlike its low-slung rivals, the Infiniti has more of an SUV-like appearance, sitting 70mm higher from the road. It does have something in common with the competition though. 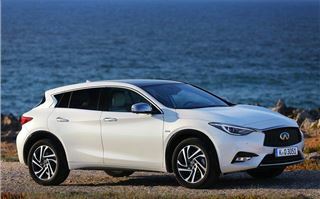 You see the Q30 isn't actually that 'new' - it is in fact built on the same platform as the Mercedes-Benz A-Class. 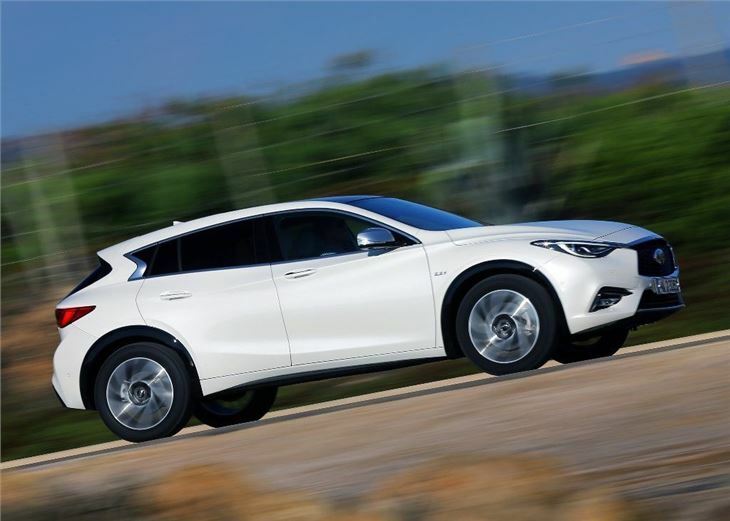 However, thanks to its bold styling, the Q30 looks considerably different to the A-Class. It's almost identical to the concept that was unveiled at the Frankfurt Motor Show in 2013, with bulbous wheel arches, sculpted lines and an aggressive front end that’s dominated by a double arch grille. 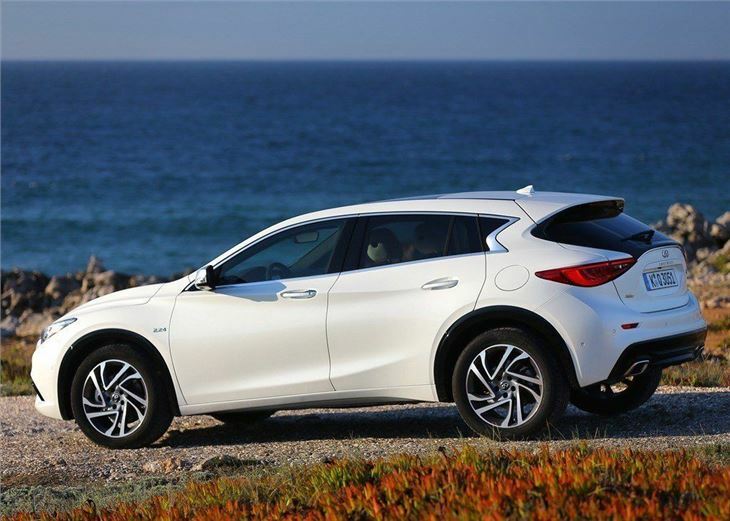 The Q30 also gets a broad range of engines with two diesels and two petrols. 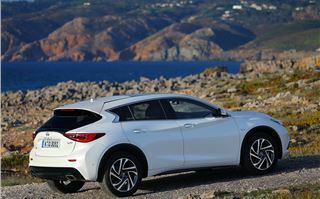 The most popular is expected to be the Renault-sourced 1.5 dCi, which also has the lowest running costs, with a claimed 60.3mpg and 103g/km of CO2. In the Mercedes-Benz A180 CDI (yes the badging is confusing) Real MPG users are seeing 58.3mpg with the same engine, although that has a higher official figure. 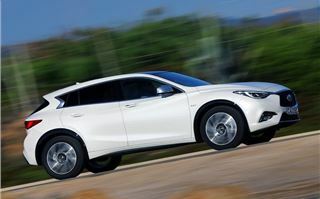 The idea of a Japanese car that’s built in the UK, based on a German design and powered by a French engine will no doubt confuse many, but Infiniti claims this odd combination has allowed it to produce something that looks genuinely different from the current crop of family hatchbacks, but without making any compromises when it comes to fuel economy, comfort or handling. 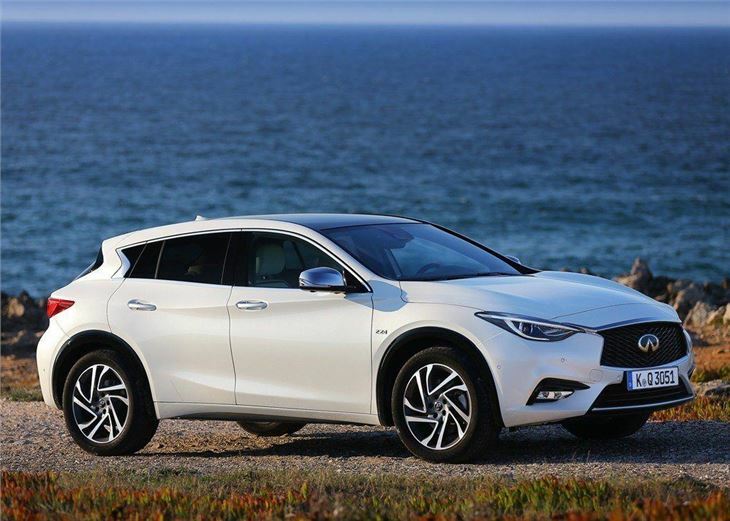 On the road the Q30 achieves some of its objectives by being easy to drive and comfortable at all speeds, with a well-judged ride that cushions all but the harshest of road conditions. 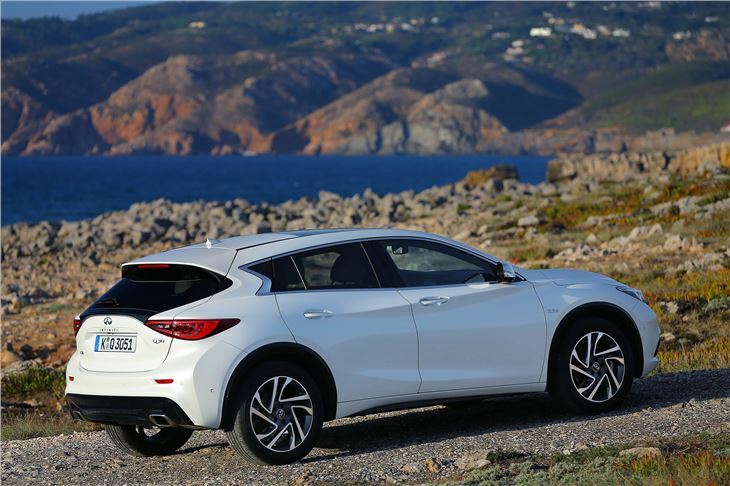 The Q30 also corners well and doesn't roll excessively when confronted by a series of tight bends, which is impressive when you consider how high it sits from the road. 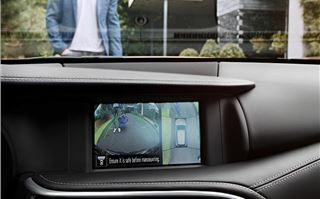 The 1.5-litre diesel is quiet and works well with the six-speed manual gearbox, although it can feel a little breathless with its 109PS producing a 0-62mph time of 12 seconds. That said, there's enough mid-range torque for smooth and (some) meaningful acceleration. 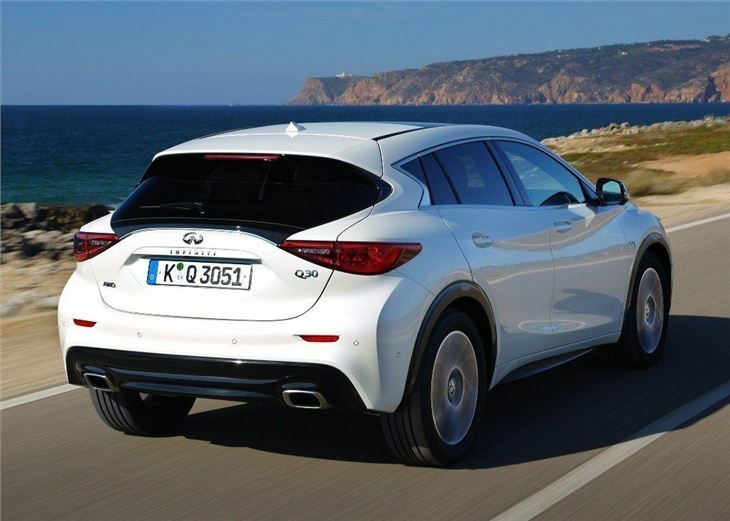 The Q30 is at its best on the motorway and cruises along quietly. It is also calm and composed in town, although constant gear changes are needed to keep the 1.5-litre unit ticking over at low speeds. 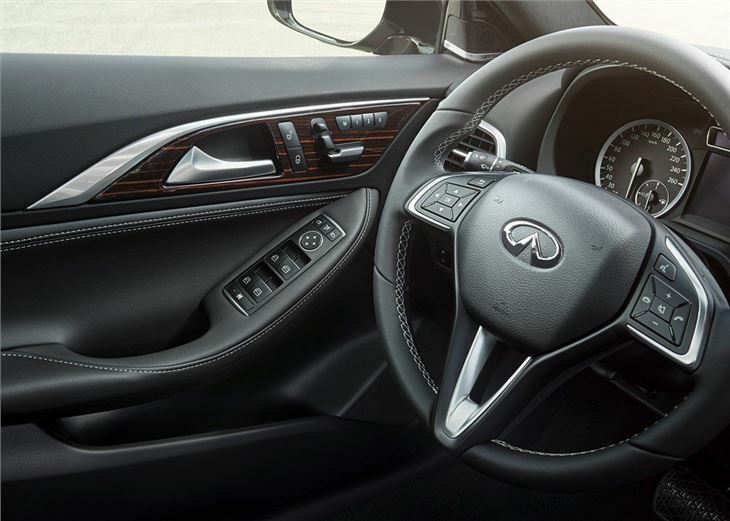 The interior of the Q30 is large enough for four adults and has plenty of head and legroom in the front. 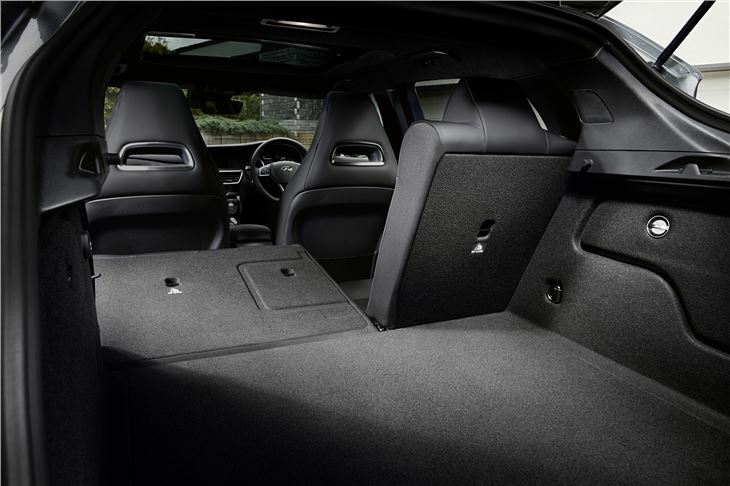 There's also a reasonable amount of space in the rear, although knee room is limited by a thick layer of dark plastics that covers the back of the front seats. 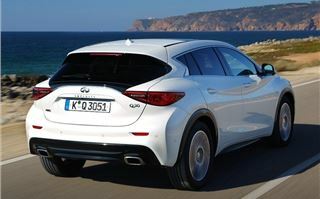 The Q30 does get a decent boot though, with 368 litres of carrying space - only a few litres smaller than a Volkswagen Golf. 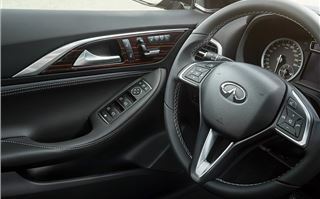 The styling of the interior disappoints though - and is at odds with the conceptual and creative exterior - with lots of dull, dark plastics and switches that are identical to those found in the A-Class. 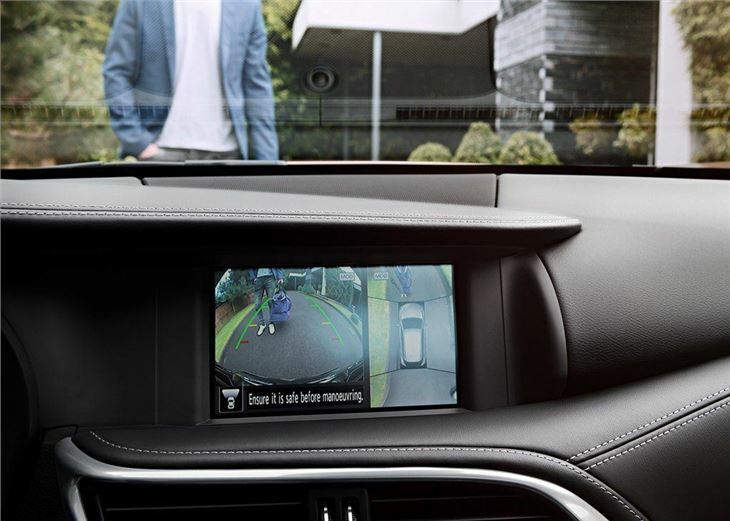 The layout is also somewhat pedestrian, which again fails to sync with the futuristic exterior. Admittedly, all of the controls are easy to use, but we would have liked to have seen some innovation (and colour) applied to the layout. 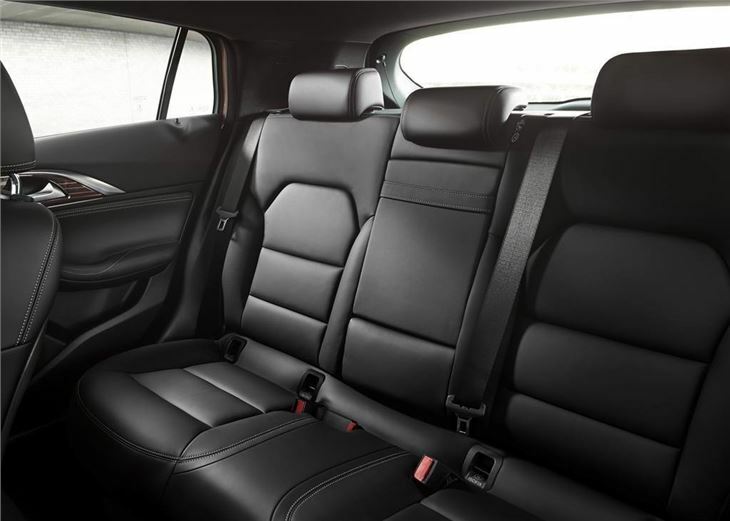 Instead the driver gets a cabin that is drab and unremarkable, which pretty much sums up our feelings for the car in general. 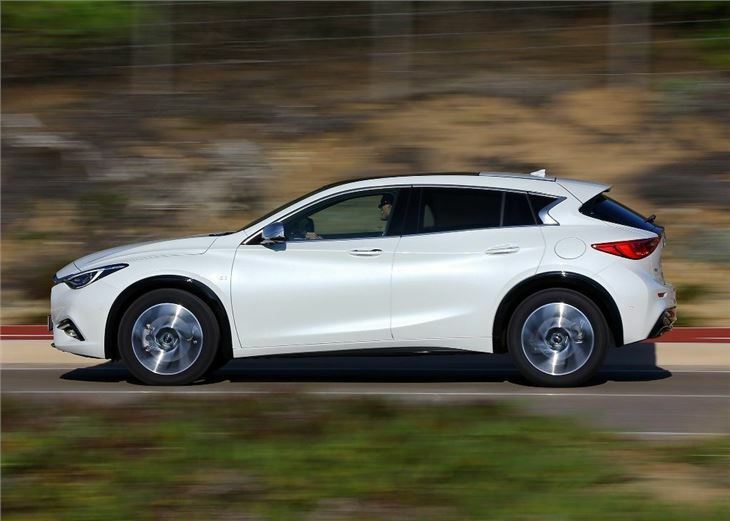 Indeed, while we accept that the Infiniti Q30 does everything that's expected of a family hatchback, it fails to excel or excite at anything. 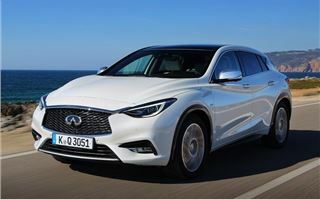 For sure, it's attractive, easy to drive and quiet, but these are qualities that can be achieved for a lot less than the Q30's considerable £21,500 entry price. 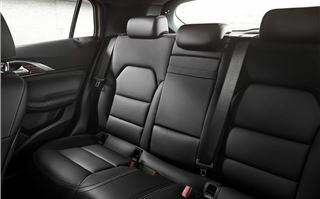 Both the SEAT Leon and Ford Focus are cheaper and better to drive, while the similar priced Audi A3 and BMW 1 Series feel superior, with better engines, lower running costs and classier interiors. 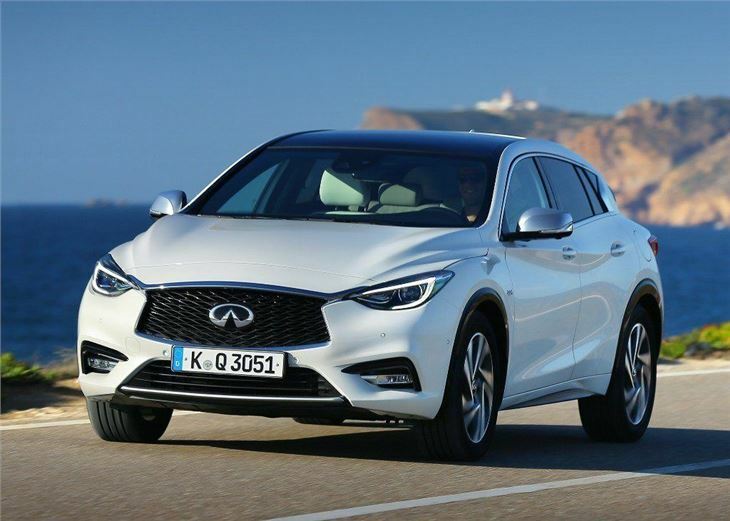 We don’t doubt that some will be taken by the Q30's styling, but sadly this is the only thing that gives the Q30 anything of note over its far superior rivals.